We offer bread th at’s organic, naturally fermented, hand-shaped, hearth-baked, crusty, hearty, and all around delicious! Our sourdough culture has been developing for 20 years, giving our bread a distinctive and complex flavor profile. We use three basic ingredients in our bread and starter: organic bread flour, water, and kosher salt. Bridge is a social enterprise platform that introduces people to cross-cultural experiences locally. We do this through food, music, and art offered by refugee families. We have have a variety of both red and white wines with variations of sweet to dry. our winery in Granville is the perfect venue to relax and sip some wine while enjoying the incredible views and delights of rural Pennsylvania. Their winery sits on 100+ acres of farm land bordering the Juniata river and the PA railroad. We are dedicated to making fine wines in a variety of styles. We’re trying to turn our 10 acres of neglected, hillside farmland into a magical food forest. We’ll be growing over 80 varieties each of vegetables and flowers. We have chosen heirloom varieties for the vegetables to be able to offer different colors, textures and tastes from conventional. We’re also growing mushrooms: lion’s mane, shiitake and oysters. Our flowers are also grown on Brabble hill and supplemented with foraged wild flowers. We are a family owned business. We believe that good food is part of every celebration and we aim to provide that to our customers. Our food is made with healthy ingredients and we support our local farmers in Delaware and Pennsylvania. Sweet Tulip specializes in creating hand-made Jams where the fruit is the super star, not the sweetener. Each fruit is hand selected, carefully processed, and lightly sweetened with honey. The natural flavor of each fruit shines through and that is what makes Sweet Tulip Jams so special! We also offer baked goods and pastries that showcase a variety of our fruit flavors. Stop by the market and try your new favorite fruit jam! Nacho average brown bag lunch. Traditional Mexican to unique flavors all in a portable brown bag of crunchy goodness. Seasonal, fresh ingredients to keep your taste buds happy. Holy Guacamole! Deb Becker has two passions that are brought together in her work: art and nature. 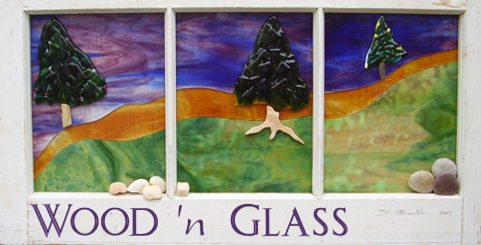 Her art is a creative joining of stained glass and wood using a variety of techniques including fusing, mosaic and copper foil. She hand carves wood and uses a variety of natural and organic objects in much of her work. All of her pieces are one of a kind. Whether you’re a bagel connoisseur or just love all kinds of doughy goodness, you’re sure to be wowed by Harvest Moon Bagel Co. With bagels hand rolled and made from scratch using local and organic flour and a unique variety of spreads, there’s seemingly no end to the possibility of delicious bagel and cream cheese combinations form these wonderful people. Check them out next time you’re at market to grab a bagel or twelve! The mission of Smokers Marina is to awaken and reintroduce the use of Hemp and Cannabis, and to continue research in hope to find other ways this amazing plant can improve the life of earth and mankind! Dani Dimon was born and raised in Lancaster County and is currently making her ceramic work out of the Goggleworks Center for the Arts in Reading. Each piece is hand crafted with care and depicts drawings, illustrations, and patterns meant to evoke happy memories and playful nostalgia. Each and every ‘My Peruvian Treasures’ product is hand crafted by Peruvian Artisans with natural fibers like Organic Cotton and Alpaca. Their Organic Jewelry is made from very unique sources like Nuts, Seeds, Fruit Peels and other natural materials. Ethically and Sustainable Made because “Fashion should Always feel Good! Jodys Jewelry & Crafts wants to make it easier & more fun to purchase beautiful Handcrafted Jewelry & Crafts at very reasonable prices. Included are many items, styles, and designs for you to choose from. We hope you like the variety. Many are one-of-a kind pieces ! All our designs are @2006-current year design patented or design-patent pending to insure their originality ! All our original designs are jewelry and craft items are handcrafted personally by us! Local artist holds a Bachelor’s Degree in Fine Art – Gemology and is disabled. Grandmom Shrom’s Sandtarts provides a variety of sandtarts in flavor and designs. Flavors include original, lemon, cinnamon sugar, cinnamon sugar with peanuts. Original sandtarts are decorated with seasonal designs, and can be special ordered with customer requested designs. Brown sugar cinnamon and pumpkin sandtarts are available in fall/winter season. Other baked items are also offered on occasion such as apple, pumpkin bread, zucchini bread, biscotti. The Big 5 African Cuisine will be featuring African food, mainly from East Africa. Some of the food that will be featured are: Pilau rice, beef stew, Sukuma wiki (collard greens), Samosa’s among other things. Stop by the market and try our delicious food. Handwork House is a community workshop where people of all backgrounds can come together and explore Fiber Art and our shared history of using fibers, textiles and handwork skills to make beautiful and functional pieces of art. At Handwork House, adults and children can gather to learn basic skills like sewing, knitting, crochet and mending. As well as more advanced techniques like wet felting, dyeing, batik and more.